Highest Rated Wine Vintages Summary & Chart with Robert Parker Jr. 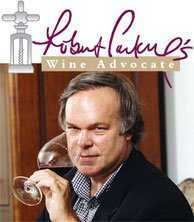 In the last thirteen vintages, 92 wines have been rated between 90 and 97 points by Robert Parker Jr.. Dual scores (i.e. : 94/97) signify a 10 year retrospective tasting update. Robert Keenan wines age well. Below you’ll view the highest rated wine vintages of Keenan Winery.